hatâ€™s what we learned about in the SIIAâ€™s 2014 Education Government Forum. Here is a summary of three of the main issues: privacy, the educator view on the education technology market, and school connectivity as the foundation for digital learning. Missing from this summary is one of the most informative and entertaining sessions on Higher Education Â policies impacting technology and digital learning. But, I was moderating that discussion with Amy Laitenan of the New America Foundation, Richard Hershman of the National Association of College Stores, and very active attendees, so I couldn’t take notes. Privacy could be considered the biggest issue facing education technology at this point. In fact, the Software and Information Industry Association (SIIA) is hosting aÂ free roundtable discussionÂ on the privacy issues Wednesday, March 26 in New York City at 5:00. Privacy concerns in education can be broken down into two general areas: public hysteria and government policies. No one wants children to be at risk. But that doesnâ€™t mean that we should eliminate all use of student data to guide instruction. In the last 4 months alone, there have been over 70 bills introduced in state legislators to safeguard student data. Many of these bills contain language that would make it difficult to conduct any digital initiative in schools. If you are a member of the SIIA, you should contactÂ Mark SchneidermanÂ to see how you can help combat privacy hyperbole. On the other side of the privacy issue is what do schools, districts, and content providers have to do to comply with existing laws likeÂ FERPA,Â PPRA, andÂ COPPA? On the one hand, the government is trying to give children and students the same protections offered in healthcare byÂ HIPAA. But this is a complex issue, and the result to date is that the regulations and guidance fall far short of what is needed to meet the criteria of high levels of both instruction and protection. 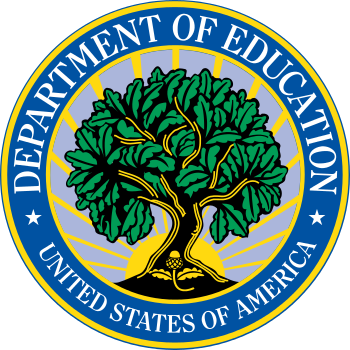 On their guidelines for compliance and best practice, the Department of Education provides â€œanswersâ€ to frequently asked questions such as, â€œwhat does FERPA require if personal information about students is disclosed to a provider?â€ Each answer starts with â€œIt depends.â€ These laws are as clear as mud, and penalties for non-compliance include fines, jail, and/or banishment from collecting student data for five years. If youâ€™re in NYC on March 26, you should plan on coming to the SIIA roundtable. If not, look for the recording on the SIIA website. And find a FERPA and PPRA expert to review your practices. Itâ€™s a very crowded marketplace; one might say that there are too many players and that the market seems ripe for consolidation. There is no good research on effectiveness. Because edtech changes so rapidly, there are no, and likely will not be any, 10-year longitudinal studies in the foreseeable future. This means that we are all going to have to take some risks. Itâ€™s very difficult for districts and education decision makers to compare quality. There is not enough adaptive software yet that truly provides an individualized experience for students. One lesson we can all learn from the top performing charters is that engaged parents drive student achievement; all the top charters find ways to engage studentsâ€™ parents. Schools are looking for a complete solution to improving student outcomes, but companies are trying to sell them their one piece of the solution. There is a rural drop-off in Advanced Placement, and one major cause is the inability to find qualified teachers for the courses. Printed textbooks are more mobile than digital content if you donâ€™t have connectivity. While the program is large, over half of the projects that meet eRate criteria do not get funded. Some funding is earmarked for outdated technologies, such as pagers. The criteria themselves are outdated. While just getting a school connected to the Internet was a reasonable goal 15 years ago, current bandwidth goals should be in the range of 15-20 gigabytes of traffic per month per student. Most schools miss that by an order of magnitude. Because of low bandwidth connections at schools, and because eRate specifically does not aid any connections outside of schools and libraries (such as to homes or mobile devices outside of schools), almost a third of public school students face hurdles accessing digital content. The FCC has been given the authority by Congress to determine and collect the funds needed by eRate from telecommunications providers. This past Fall, President Obama called for the FCC to double funding. However, keeping an eye to avoiding controversy in the face of mid-term elections this year, the president has backed off and is now not planning for any increases in funding until at least after the elections.